NASHVILLE, TN — Attorney Terry Clayton of the Bellshire community is running for the open seat for the 54th State District as Representative in the Tennessee Legislature. 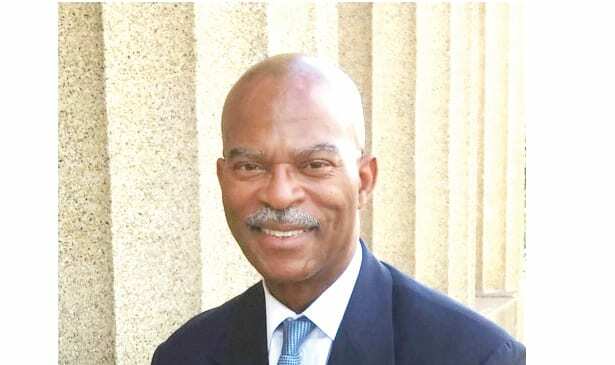 Clayton is a native Tennessean who claims Nashville as home since 1975 when he arrived as an undergraduate at Tennessee State University, and has lived here since except for studies at Howard University when he got his law degree. His education is remarkable given his background. “I was born in Memphis and pulled myself up by bootstraps. I was one of nine children from Memphis public housing,” he says. “Being a lawyer and having to interpret and apply the laws that are passed out of General Assembly gives me a unique set of skills for this position. Following law school, I also was on the staff for the General Assembly.” He then worked in the department of health and mental retardation. Clayton has a list of issues he wants to see addressed by the state legislature. “I also want to promote the utilization of dual enrollment dollars for school systems and find ways to encourage individuals to be dual enrolled while they are in high school. Those funds come from the lottery educational trust. I want to make sure the people in my district get our share of those funds that are available.” Dual enrollment allows high school students to get college credit for certain courses they take. Tennessee State University is also on his radar since he serves on the TSU Foundation Board of Directors. Clayton also proposes getting funding for the creation of a citizen’s oversight board for Davidson County. He says there currently are such boards in Denver, San Francisco, Memphis, and Atlanta that can serve as models. “I also want to try to prevent the state from interfering with Davidson County’s home rule meaning when referendums are passed by the city council and enacted by the citizens of Davidson County, the state should not interfere with home rule. The state should not interfere by passing laws that reverse the decisions our citizens have made,” Clayton says. He points to the resolution passed by the city council decriminalizing the use of small amounts of marijuana which the state overruled. Clayton served in the Army National Guard for 11 years and as the Equal Opportunity Officer in the Tennessee National Guard for 14 years. He serves on the board for Samaritan Ministries of Temple Baptist Church and is a member of Nashville Organized for Action and Hope (NOAH) where he is a part of the criminal justice task force. He has three daughters all graduating from high school in Nashville – two graduated with honors from Hume Fogg.